I just got these babies at the quilt shop. I'm almost ready to finish a couple of my unfinished projects. 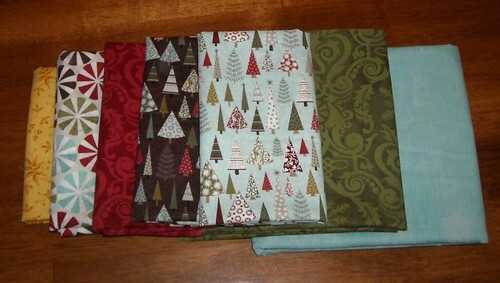 I decided to do the sashing for my Figgy Pudding Christmas quilt in the aqua "grunge" fabric. It will be a little blendy with some of the block fabrics, but I think I will really like it overall. 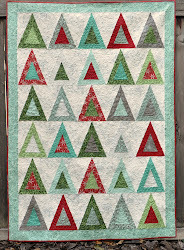 Look what I just read about on Corrie's Dutch Blue blog--a Holiday Traditions quilt contest. I might just have to enter both the small and large quilt contests over there. I'm going to put them in the washer, right now! That fabric line is great! I LOVE LOVE LOVE the red. I'm having a hard time finding any more of it! I just entered my quilts in the contest - looked like fun! Thanks for the link. Can't wait to see what your Figgy quilt looks like all put together. Love Figgy Pudding!! I have yet to purchase some though, I am so afraid that I would not do it justice being a beginner!!!! I LOVE the Figgy Pudding line! I can't wait to see your finishes! nice fabrics! i like the idea of the aqua as sashing too!